New makeup brushes? Yes please. As a lazy brush cleaner having lots of brushes is something i love; more brushes also means spare brushes and that means if i’ve got a dirty brush i don’t have to do a panic clean. When crown brushes offered to send me some of their professional standard makeup brushes* obviously i agreed, i mean can you ever have enough? All in all i have 7 crown brushes: 6 eye makeup brushes, a mixture of blending and flat shaders and 1 face brush. Flat shaders were definitely something i needed more of and these were my favourite of the eye makeup brushes; i have the C509 which is a classic concealer brush that i’ve been using as a shader brush, the C510 a slightly shorter flat shader brush and the C507 a much denser kind of stumpier shader. I’m a big fan of a matte crease and glitter lid so that explains why i’m so obsessed with flat shader brushes, the C509 and C510 are great for packing on glitter shades directly to the lid and building up intensity. While the denser C507 is great for when i want to put a matte shade on my lid underneath the shimmer. 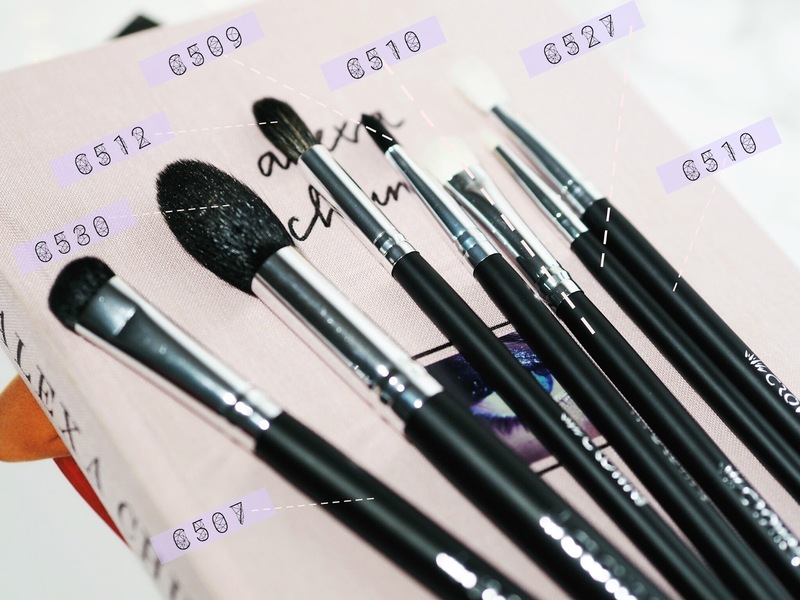 I also received two more traditional crease blending brushes the C511 and C512; the C511 is your standard fluffy blending brush but the C512, the pro sculpting crease brush is a more tapered thin ended blending brush, which really allows for precise colour application. Out of all the brushes the C530 has to be my favourite, this is one of crown’s new brushes the pro detail powder / contour brush. This has multiple uses but thanks to its tapered thin end its perfect for setting under the eye, its like a tapered fluffy eye makeup brush on a larger scale. It isn’t too dense so you can tap it under the sensitive eye area without feeling like you’re poking yourself in the face and its light and fluffy enough to deposit setting powder or brush it away if you’re baking. Its shape also lends itself to contouring and i’m actually using it to apply my highlighter, because its so fluffy it picks up enough product and disperses it evenly without putting the majority of the product in one place like a denser brush would. Have you ever tried crown brushes? Check them out here! You can get 10% off your order in February with the code Cupid17. This post contains affiliate links. Products have been sent to me for reviewing purposes. January favourites & INTERNATIONAL GIVEAWAY! also, which camera do you use to have that focus up front and blur behind? or is that some filter or edited picture?